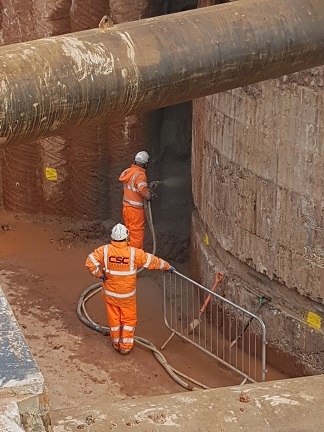 Operatives were onsite at Frankley Water Treatment Works this month for client nmcn. 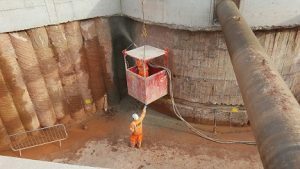 The team undertook steel fixing and dry sprayed concrete as part of a scheme of work to refurbish the plant. Sikacem 133 Gunite was spray applied over reinforcement at the Treatment Works. Frankley Treatment Works is being upgraded by Doosan North Midland Alliance, a joint venture between Doosan and the newly named Nmcm as part of the Birmingham Resilience Project for Severn Trent Water. 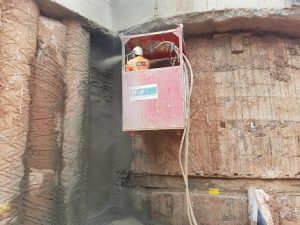 A video and photographs of the work are shown below.